Atlantic Monthly Press, 9780802129352, 336pp. According to local residents, another giant is said to live in these woods. For centuries people have reported encounters with the Sasquatch--a species of hairy bipedal man-apes said to inhabit the deepest recesses of this pristine wilderness. Driven by his own childhood obsession with the creatures, John Zada decides to seek out the diverse inhabitants of this rugged and far-flung coast, where nearly everyone has a story to tell, from a scientist who dedicated his life to researching the Sasquatch, to members of the area's First Nations, to a former grizzly bear hunter-turned-nature tour guide. With each tale, Zada discovers that his search for the Sasquatch is a quest for something infinitely more complex, cutting across questions of human perception, scientific inquiry, indigenous traditions, the environment, and the power and desire of the human imagination to believe in--or reject--something largely unseen. John Zada is a writer, photographer, and journalist drawn to stories about adventure and far-flung parts of the world. He has worked in over two dozen countries and spent years as a journalist in the Middle East. His work has appeared in the Globe & Mail, Toronto Star, Explore, CBC, Al Jazeera, BBC, Los Angeles Review of Books, and elsewhere. 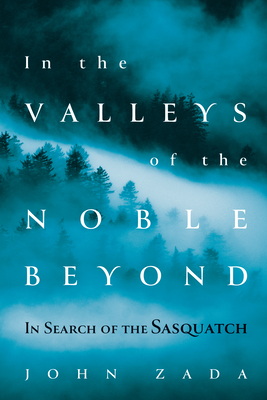 In the Valleys of the Noble Beyond is his first book. He lives in Toronto, Canada.